Previous: Previous post: Glasgow Blatchford Score 2 – The case for an RCT! Question – do you think mixing with liGNocaine (that’s lidocaine to some) is really necessary. The difference in onset times for ring blocks of the finger is minimal and I wonder if there is a clinically significant difference for the Femoral blocks by mixing the two agents. If we had to go for longevity of block vs a couple of minutes in difference of onset I might opt for the former. Comparison of bupivacaine and lidocaine/bupivacaine for local anesthesia/digital nerve block. Great article natalie – thank you….. interestingly science boffins are using levo vs dextro molecule orientation to investigate the origins of life…earthly vs extra-terrestrial being possibly different – may help you in paediatrics??! On a, meh, perhaps more relevant note – I ask the same question as simon…..Do you find a cocktail of lignocaine + bupivo/chiro-caine, gives a more positive analgesic experience? Just interested. Thanks for the interest and the comments, guys. 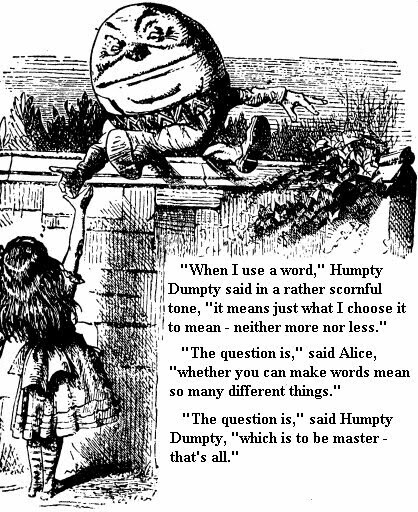 Glad you appreciate my love of Lewis Carroll and on the lido/ligno issue – what does it say on the ampoule?! Serious questions now; interesting thoughts. I could certainly argue the case for longer vs shorter acting local anaesthesia; in my experience the block provides good pain relief for getting the Thomas splint on but finding the appropriately sized splint and related paraphernalia can take a while! Kids seem to tolerate the block but probably only for a single attempt approach; so you have to be sure that what you give is going to work the first time. Local anaesthetic agents are pretty reliable so it’s not as though one is likely to “not work”, but kids are also less likely to stay still while you perform the block, so the smaller the actual LA dose you can give, the better. Lidocaine is generally accepted as presenting a lower risk of cardiovascular side effects in kids, which makes me feel better, but then as we have already established, the doses we are giving are pretty small. I don’t have explicit experiences sufficient to answer the question as to the block effectiveness, but the assumption I am making is that toxic effects are not cumulative when you mix two agents. I have had a look and I really can’t find a definitive answer. A rat study (how I love those! http://www.biomed.cas.cz/physiolres/pdf/59%20Suppl%201/59_S65.pdf ) seems to suggest toxicity is lessened in a lido/bupivacaine mix. However, as to whether you use a pure chiro/bupivacaine block or mix it up, the need for a good quality RCT has emerged! Agreed, and worth working through those articles to build the bigger picture. I must admit to preferring to use just Bupivicaine for most blocks where long term analgesia is needed these days. As you say though, the evidence is somewhat scanty and here and it’s just a personal opinion. Been using a lidocaine/bupivicaine mix for haematoma blocks in wrist fractures for as long as I can remember. Not in any way evidence based and is probably based on me being pretty rubbish reducing Colles fractures in the distant past and I wanted enough long acting block to have another go if required. As one would expect, I got better at doing the reductions but kept the same technique because it worked pretty well. I still recall as a young registrar listening to the squeals of patients behind a curtain having had a poor block and a brutal reduction and it scarred me – so it was 1% lido to skin and soft tissue, find haematoma (and I mean REALLY find it), more lido, detach syringe, replace with bupivicaine, more to haematoma. Don’t use bupivicane only because, well, I’ve “always done it that way and it seems to work very well” – ahem. Not met anyone else who does this… I’m sure others recommend Bier’s blocks, procedural sedation etc and I might be old fashioned… comments welcome. Always had mixed results with femoral n. blocks, all in adults it must be said. Haven’t done enough to be comfortable / proficient (not that many femoral fractures floating around here) – must go on that regional anaesthesia course I’ve been meaning to go on for oooh, 5 years?